First time patients must request appointment. Once your paperwork has been filled out and you are in our system, you can book future appointments online. Click below to request a first time appointment! Schedule Your Massage Now: If you have seen us before, you can book your appointment online! Michelle is the best massage therapist I have ever had. I have had many types of massage in many different countries, I am happy that Michelle is HERE for me! I send everyone I know here to get a great therapeutic massage; neck, shoulders, TMJ, and glute release, she has you covered. Wonderful experience! Michelle at ReNow has some mad massage therapy skills. She will listen to what your specific ailments are or what is bothering you and concentrate on that. You will leave feeling great and wanting another massage. I recommend Michelle to anyone who is needng a really good deep tissue massage! Michelle is amazing! She has incredible strength and use of techniques to reduce pain and rehabilitate quickly. I greatly appreciate her calm and comforting demeanor and her ability to melt the stresses away. Her deep tissue treatments hurt SO GOOD I keep going back for more! Thanks for everything Michelle you’re awesome! Michelle Sinnes, LMP is a licensed massage therapist (MA60471655) who currently lives and works in Richland, WA. She is a 2012 graduate of Columbia Basin College, a 2013 graduate of Victoria’s Academy of Cosmetology, and owns Renow Body Rehab. 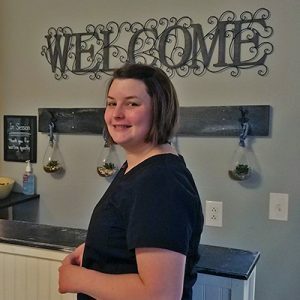 In addition to her professional licensure, Michelle is also a member of the American Massage Therapy Association (AMTA) and a member of the Associated Bodywork and Massage Professionals. Michelle believes that a combination of therapies can often help restore balance in the body. 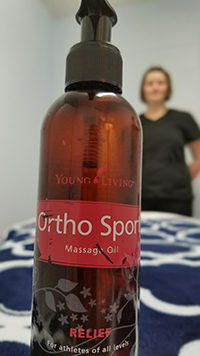 In addition to conventional massage techniques, Michelle offers combination therapies including Young Living Essential Oils and Raindrop Therapy. Raindrop Therapy is detoxifying technique that uses Young Living Essential oils and addresses the needs of the entire body. Raindrop Therapy is based on Native American wellness traditions and connects the energy of the therapist and patient in a balanced, renewing and refreshing experience. If you’d like to know more about prenatal massage, or you’d like to book an appointment, please call (509) 713-5351. You can also book online! Young Living Essential Oils are therapeutic-grade massage oils that both energize and relieve stress. These all natural products moisturize and cleanse your skin, and nourish you physically and spiritually. Add Young Living Essential Oils to your massage for a refreshing, uplifting experience.